Father Moushegh Tashjian was born in 1947 in Beirut, Lebanon, the son of Tavit (deceased) and Zarouhi Tashjian, and was christened Kapriel. Other members of his family include two brothers, one of whom is his twin, and a sister. Kapriel attended Soorp Karasoon Mankantz Armenian National School, then Genatz Varjaran. At the age of 13, young Kapriel and his brother were sent by their parents to study in the Seminary of the Armenian Patriarchate of Jerusalem as postulants. In 1965, Kapriel returned to Beirut and worked briefly and attended the Seminary in Antelias. In 1970, he returned to Jerusalem, and soon afterwards Kapriel was ordained a deacon; thereafter, he went on to complete his theological studies. Along with his religious studies, he studied English at the Hebrew University of Jerusalem. On July 25th, 1971 at the St. James Cathedral in Jerusalem on the Feast Day of Pentecost (Hokekaloost), Kapriel with five classmates (four of whom hold very high offices in the Armenian Church) was ordained “Moushegh Apegha Tashjian”, a celibate priest. Fr. Moushegh held many responsible offices at the St. James Patriarchate: he taught Armenian Church Music, Classical Armenian (Krapar) and Armenian History and Religion among other subjects; he taught at the Soorp Tarkanchatz School and was Assistant Dean at the Seminary, and he also served as Father Superior of St. Mary Church in the Valley of Getsemanee in Jerusalem. In May of 1974, upon the invitation of Western Diocese Primate, His Eminence Archbishop Vatche Hovsepian, Fr. Moushegh was appointed as the first Pastor of St. John Armenian Cathedral – Hollywood Parish. Under Father Moushegh’s diligent and persistent work, the Hollywood Parish was admitted into the Western Diocese. He soon founded the ACYO, the Sunday School, Saturday Armenian School and the Ladies Society. In January of 1977, Fr. Moushegh was appointed as Pastor of St. John Armenian Church in San Francisco. There he reactivated the parish and encouraged new immigrants to join the church. Fr. Moushegh was instrumental in starting the Saturday Armenian School, laying a sound foundation for our Armenian youth in future generations to come. 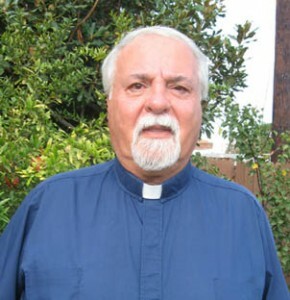 In 1982, after serving St. John Parish for 5 ½ years, Father Moushegh was appointed as Parish Priest of St. Gregory Armenian Church in Pasadena. He soon reorganized the parish life and brought new vitality in the community with religious, spiritual and cultural activities. He published the church bulletin, “Shoghagat” in the style of a professional magazine, with interesting articles on faith, doctrine, history, culture, news and pictures of church activities. He also founded the Friendship Club for seniors. However, by far the greatest need in the community was an Armenian Day School. In 1984, Fr. Moushegh helped St. Gregory Parish open its doors to 52 young Armenian boys and girls, thus establishing the only Armenian Day School under the auspices of the Western Diocese. Fr. Moushegh tirelessly raised funds for the school’s operation and scholarships for needy students. Through his friendship with Mr. & Mrs. Alfred & Marguerite Hovsepian of Oakland, Fr. Moushegh was able to get a substantial charitable gift of $1 Million and build a new school building which was named after the benefactors. The school since then has grown in size and enrollment to 260 students. The year 1992 brought more pleasant changes. Upon marrying the former Sylva Semerdjian, Fr. Moushegh was assigned a new challenge and a new parish in the form of the newly established St. Mary Armenian Church of Costa Mesa. He immediately founded the ACYO, which brought together dozens of youth to the church, and the Hovsepian Choir. Shortly, the church bulletin “Zankag” was published, the AGBU Saturday School started and the church mortgage was paid off in few short years. A new youth choir and Dance Ensemble called Zvartnots was founded, bringing dozens of Armenian children together on Friday evenings. Also Mommy & Me and Mr. & Mrs. Club were organized to bring new families into the church’s fold. The Sanctuary was installed with beautiful stained-glass holy pictures of saints and a Belltower was erected with Armenian style cupola. With his guidance and leadership, the annual ACYO trips to the Fresno area during the Memorial Day Holiday Weekends became a huge success in terms of participants. Fr. Moushegh changed the trips to include “Pilgrimages” to our sister churches in the San Joaquin Valley area. St. Mary group has visited every church in the valley and thus created a new bonding with our fellow Armenian brothers and sisters with worship and fellowship. In 1999 Fr. Moushegh organized a pilgrimage to the Holy Land with parishioners and friends and visited the Armenian Patriarchate and holy shrines. In November 2000, with his initiative, the 1700th Anniversary of Proclamation of Christianity in Armenia was celebrated with a Music Festival held at the Robert B. Moore Theater of Orange Coast College and attended by 1000 guests. Fr. Moushegh appeared live on Real Orange on KOCE TV and invited the public to attend the historic event. He is also featured numerous times in the Daily Pilot newspaper regarding the Armenian church faith and doctrine, religious observances and cultural traditions. During his tenure as Pastor, St. Mary Parish established a permanent Trust Fund, in order to help future spiritual, cultural and physical growth and expansion. Thanks to his efforts, the church is financially strong and looking ahead to a bright future. The church Youth led by Fr. Moushegh participate in the annual membership drive of KOCE-TV channel 50 as a civic duty. St. Mary Parish over the years has grown in size and organization. Many Armenians moving to Orange County have visited and joined St. Mary Parish. Fr. Moushegh serves on the Cathedral Fund and Clergy Executive Committee of the Diocese. Under Fr. Moushegh’s leadership, many children received the rank of Acolyte, to sing in a church choir and serve on the Altar. Also a dozen or so young men were trained and ordained as Stole-Bearers, Sub-Deacons and Deacons. On June 8, 1997 the St. Mary Parish honored and paid tribute to Fr. Moushegh Tashjian, on his 25th Anniversary of Ordination into Priesthood. Over 550 parishioners, family and friends attended. There were many messages sent including one from the late Catholicos Karekin I.
Fr. Moushegh serves the parish of St. Mary Armenian church of Costa Mesa with love, humility and dedication. He visits his parishioners constantly. His beliefs embrace a joyous approach toward his fellow men and especially the Armenian youth, whom he counsels and guides. Fr. Moushegh and Yeretzgin Sylva regularly attend church and community affairs and support worthy projects both spiritually and financially. Fr. Moushegh is also a member of the Knights of Vartan (he is currently working to establish a new Lodge in Orange County) and has visited and met world and church leaders throughout his career. They are blessed with three children, Alex, a Junior at Estancia High School and a graduate of St. Mary’s Sunday School, Karin Semerdjian, a graduate of Cal Poly Pomona in Marketing,married to Sam Kartounian and Nazo S. Semerdjian, a graduate of USC Law School, an attorney, married to Jenia Kojikian, and twin grandsons Nicolas and Marcus, two years old.